The vertical gardens are gardens installed in vertical plans with technologies created specially for it. 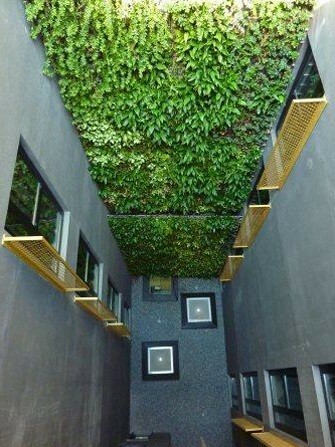 In Babiloon we design and install vertical gardens in fronts, medium walls or interior courts, integrating the vegetation in the architecture with products that are an ideal system of coating develops for his properties of refrigeration, isolation, absorption of the Co2 and generation of oxygen. We also realize interior decorations and works of small format. 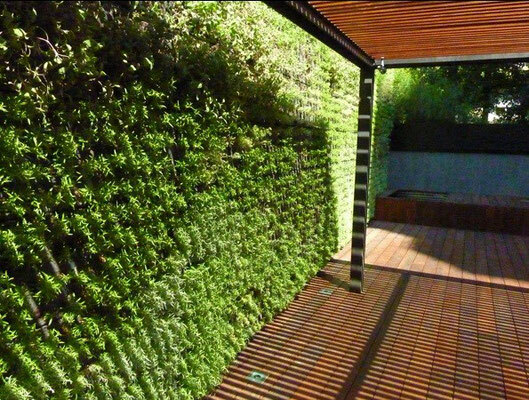 The vertical gardens are an alive coating that has the property of transform and transforming the spaces where it lives. In addition, the vegetable front contribute green spaces in urban zones in disuse and increase the coefficient of m2 of green space for inhabitant. The vertical gardening can establish in exteriors and interiors and they improve the quality of live. The systems of current irrigation allow a very efficient and limited use of the water.